Typical isn't it, when you only have one day in the week to get my blog content (due to the fact I work six days a week) and the heavens decide it would be a good day to open and rain on my parade - quite literally!! Oh well, you will just have to enjoy a boring white background from my house rather than some pretty scenery - sorry. 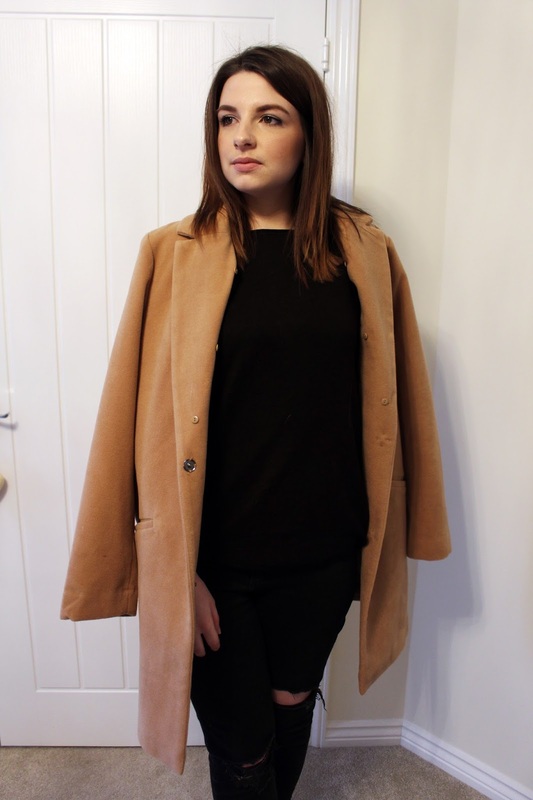 A while back I bought this oversized boyfriend style coat from Primark for just £10 in the sale; I know can you believe that I found a winter coat for just £10? It is fab quality; it is 95% polyester so not the typical wool you would usually get when spending a small fortune but it is so thick and keeps you lovely and toasty on those cold days - ticks those practicality boxes! 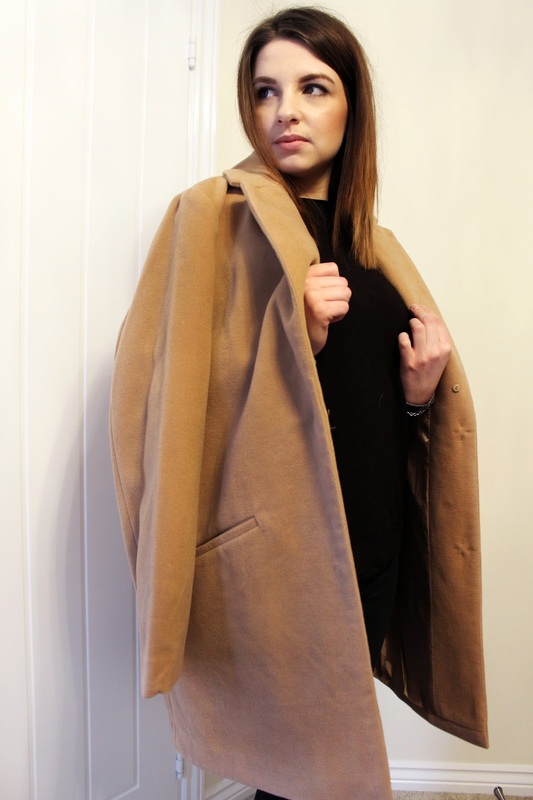 For ages I have been on the lookout for a coat exactly like this but as it isn't my usual style I didn't want to pay over the odds for something that I would only wear a couple of times. We do live in the world of fast fashion after all. 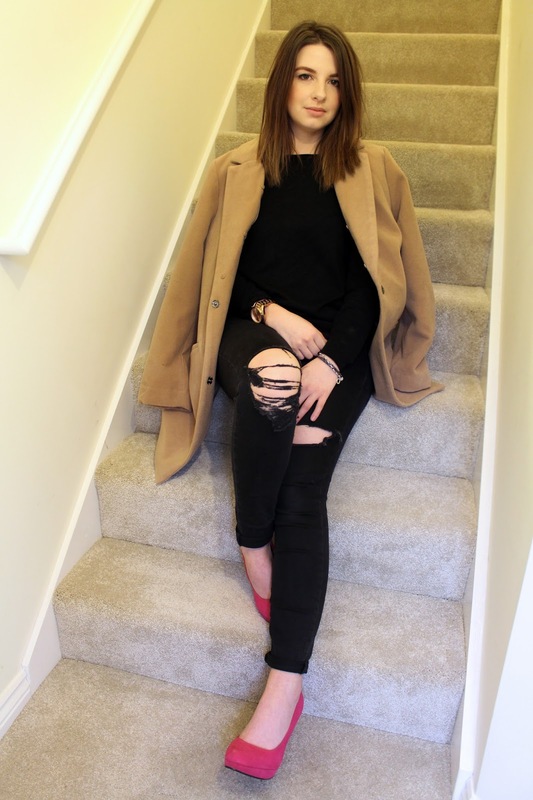 I won't blab on, I might do a separate post or video on this subject; but when you find hidden gems and beauties like this coat it makes you realise that you can keep up to date with the latest styles on a budget. Put in the comments below if you would love an in-depth post on this! 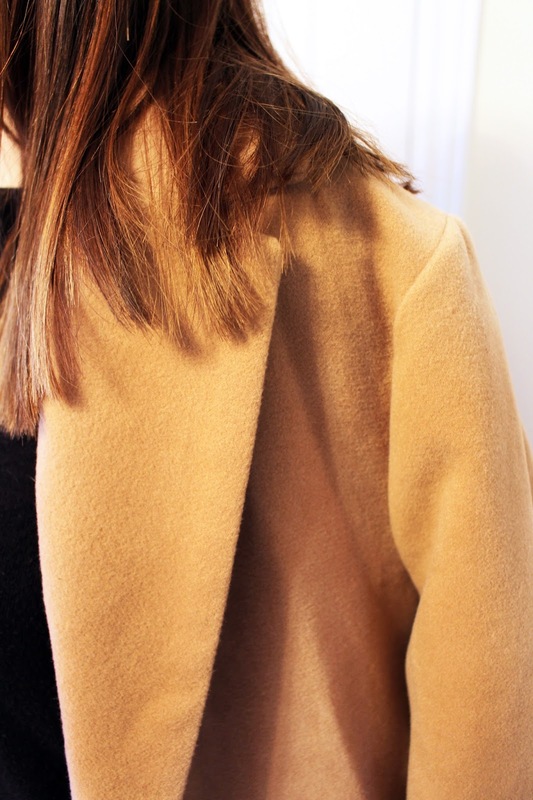 Have you recently purchased a camel coat? If so please send me a link of how you style it, I am intrigued as this colour and style is new to me.